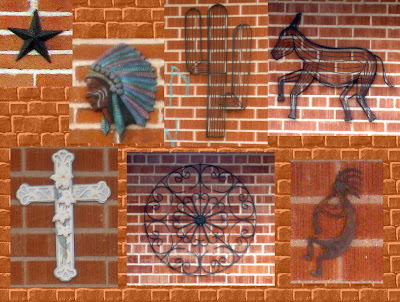 For this week's Round Robin Challenge: That's Odd!, I had the idea that I would show you some recent shots of the strange and semi-wonderful stuff on display outside a local antique mall, including three winged bison (buffalo wings, get it?) and most recently a rather odd giraffe. But about the same time I posted this topic, I discovered an even weirder collection of oddities, outside a house at the other end of my own neighborhood. 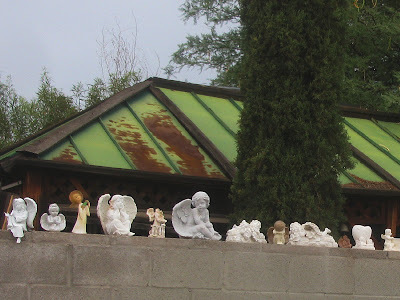 For years I've referred to our house, Casa Blocher, as the Museum of the Weird, a term that comes from an early concept for what became Disneyland's Haunted Mansion. We have lots of weird and odd stuff in our house, from an extremely silly Cugat painting to a canned earthquake to Star Trek Silly Putty. 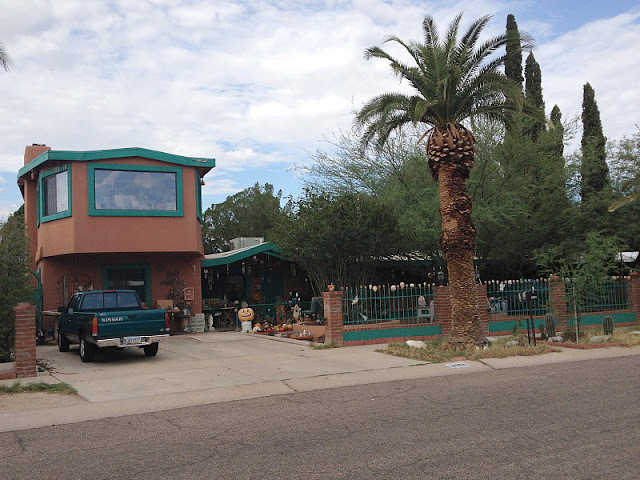 But after seeing the front yard and especially the fence in front of this other Terra Del Sol house, I'm tempted to cede the name to my neighbor's home. Now, that's really odd! I first noticed this house about two weeks ago, and it took me about a week and a half to find it again, so long that I almost began to suspect it was magically hidden from me. And why not? There's a lot of supernatural imagery here: jack-o'-lanterns, ghosts, witches, skeletons, at least one devil and I think even a few zombies in the background. 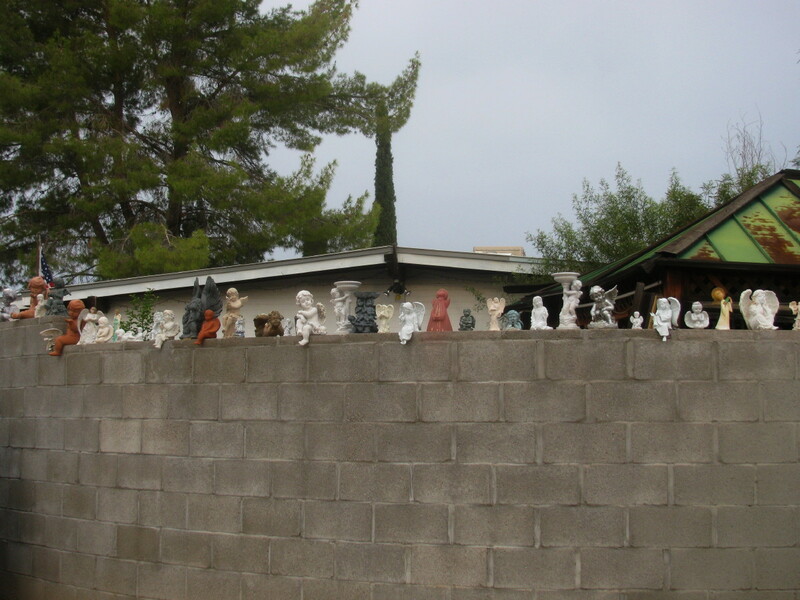 But what really catches the eye as one walks past this house is the assortment of heads on spikes. Sure, they're only doll's heads, mostly, and some aren't even heads. 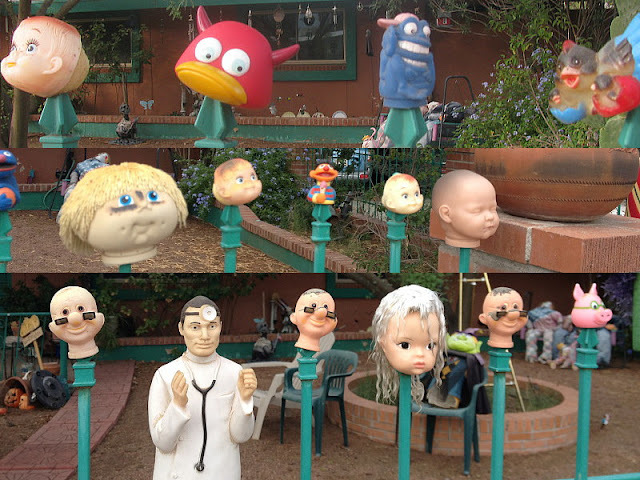 But how often do you see dolls' heads impaled on fence posts? 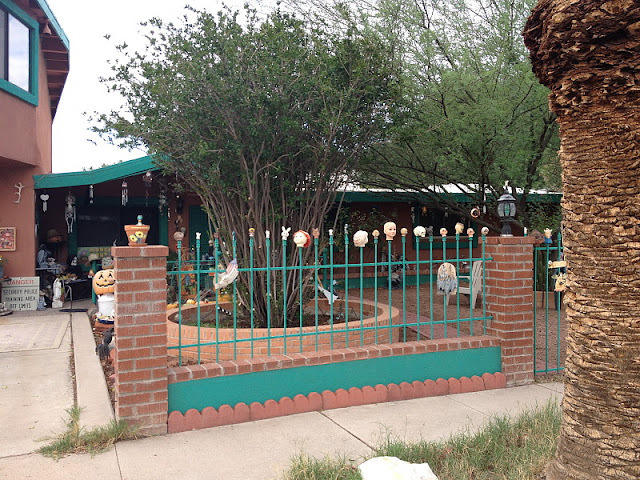 Still, the fence is mostly full of smiling faces, and there's actually a welcome sign. 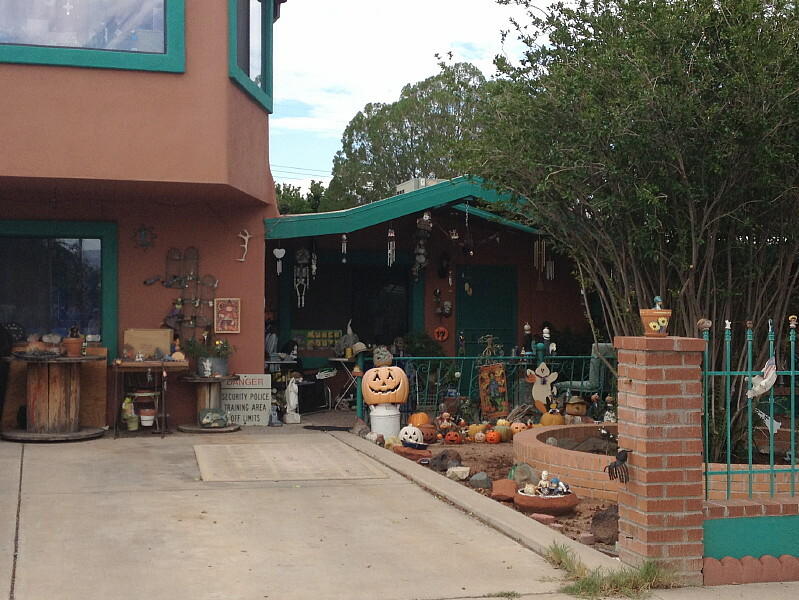 I think it's safe to walk by this weird and wonderful house! I'll be posting more photos on FaceBook and Google+ momentarily.Meanwhile, check out the other Rbons' oddities! 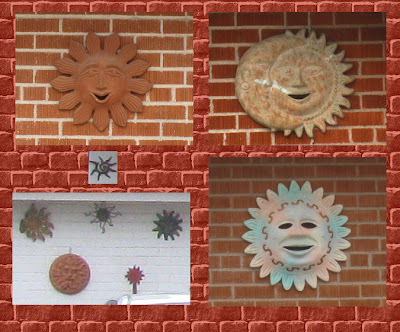 For the Round Robin Challenge: On the Wall, I've already shown you some of the lizards, terra cotta suns and other items that decorate the front walls of my neighbors' homes (scroll down). But there is also a large concentration of items sitting or standing on top of a high wall near Terra Del Sol Park. Let's look at that next. I didn't notice these until this morning, mostly because it's usually dark outside when I walk through that part of my neighborhood. What is all that stuff on the wall? Are those angels? Are they all angels? As in, St. Michael and All Angels? Well, they are all angels, but not all angels are there, if you know what I mean. I didn't see a St. Michael., for example, although I could have overlooked him. Now let's check out what other Robins found on walls! Karen - Two entries posted! Rita aka Cashjocky ***Welcome back! *** - Posted! Cashjacky and the "Old Salt"
...on their walls, that is! 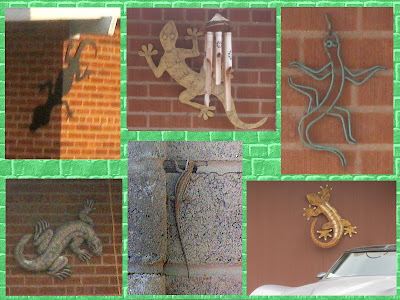 For the Round Robin Challenge: On the Wall, I had the rather romantic, overly optimistic notion that I could show you a photo of a real live lizard on the side of a wall, possibly even the large, colorful one I saw climbing a wall at church a few weeks ago. Alas, none of the live lizards I've seen since that day were on walls. Fences, but not walls! 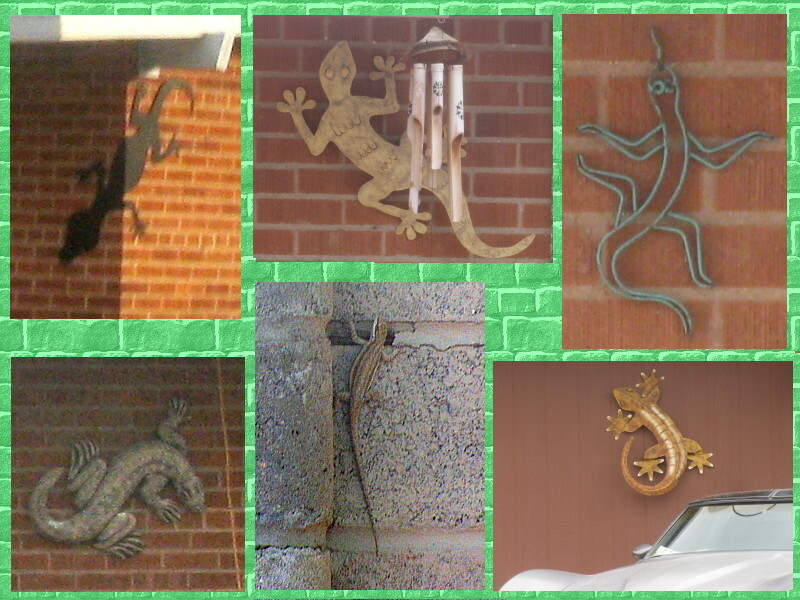 But this morning as I walked through my neighborhood, I saw lots of fake lizards on lots of walls. It quite a common motif around here. And I do have an old photo of a live lizard on our back wall, so I'm throwing him in here for comparison. 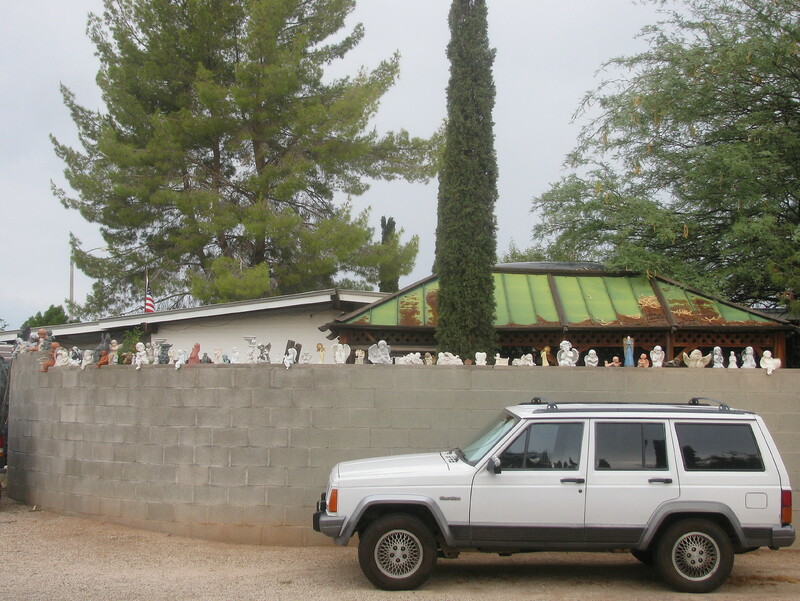 Even more common than stylized lizards on the fronts of Tucson homes are terra cotta or ceramic suns. 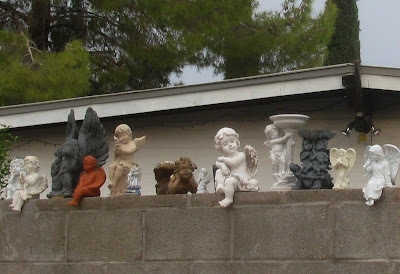 Here are a few of the many found in my neighborhood, Terra Del Sol. That means "Land of the Sun." Appropriate, no? Even though it did rain a little bit today. There are lots of other bits of decor hanging on brick walls (and a few wooden ones) near my home. Here are some of them. I have a completely different category of things on neighbors' walls I'd like to show you, but I'll put that in a separate post. Meanwhile, let's check out what other Robins found on walls!